Mrs. Irene F. Kuchis, 85, of Donnan Road, Hagaman, passed away Monday evening, February 4, 2019, at the River Ridge Living Center, Amsterdam, following a brief illness. Born in the town of Florida, NY, on July 4, 1933, a daughter of the late Frank and Camil Smitka Rogers. 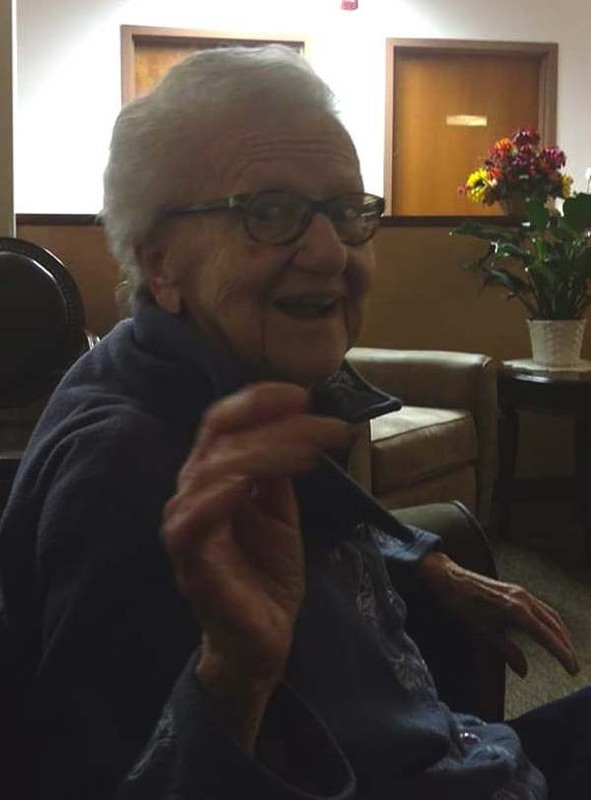 She was a lifelong area resident and was a 1951 graduate of St. Mary’s Institute in Amsterdam. She enjoyed walking, babysitting her grandchildren, bargain shopping and solving sudoku puzzles. Survivors include her two sons, Alexander “Alex” Kuchis and his wife Lisa of Hagaman, NY and Francis “Frank” Kuchis and his wife Susan also of Hagaman, NY; cherished grandchildren, Abigail and Alyssa Kuchis and Emily (Jacob) Elrod; a great-grandson, Owen Robert Elrod; her brother, Joseph Rogers; and a sister, Lenora Niemietz. Nieces, nephews and cousins also survive. Beside her husband, she was also predeceased by her brothers, Frank, Sylvester, Raymond, Leonard and John Rogers; and sisters, Josephine Jarosz and Helen Valentino. A Mass of Christian burial will be held on Friday, February 8, 2019, at 11:00 a.m. at St. Stephen’s Roman Catholic Church, 51 N. Pawling St., Hagaman, NY, with Father O. Robert DeMartinis as celebrant. The family will receive relatives and friends on Thursday, February 7, 2019, from 4:00 to 7:00 p.m. at the Betz, Rossi & Bellinger Family Funeral Home, 171 Guy Park Ave., Amsterdam, NY. In lieu of flowers, memorial contributions may be made to the Hagaman Volunteer Fire Department, 126 S. Pawling St., P.O. Box 328, Hagaman, NY 12086 or to a charity of one’s choice. Interment will be at a later date in St. Casimir’s Cemetery, Amsterdam, NY. Please leave condolences online at www.brbsfuneral.com.